Place one raspberry per cube in an ice mold. Fill each cube with champagne and freeze. 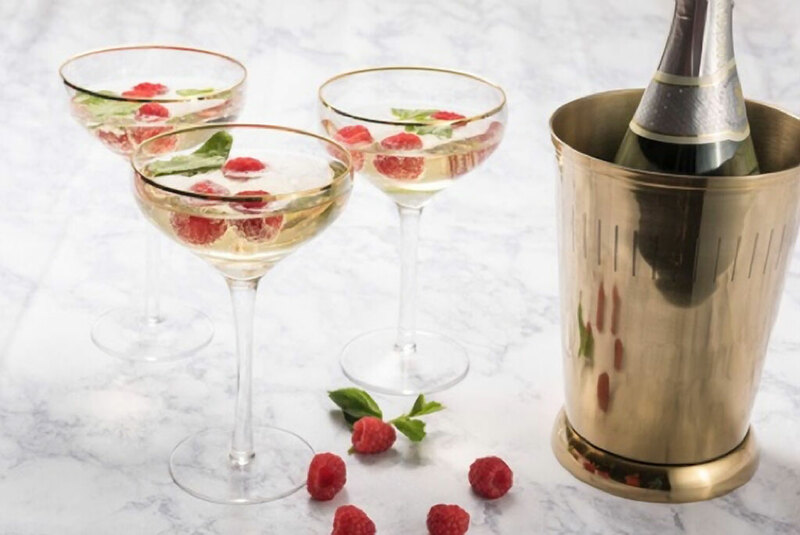 Muddle ¼ cup of raspberries, a few mint leaves, 1 teaspoon liquid sweetner, and 1 ounce of lime juice at the bottom of a champagne glass. Add in 1 ounce of rum and then fill with champagne. Add frozen raspberry-champagne ice at last minute. 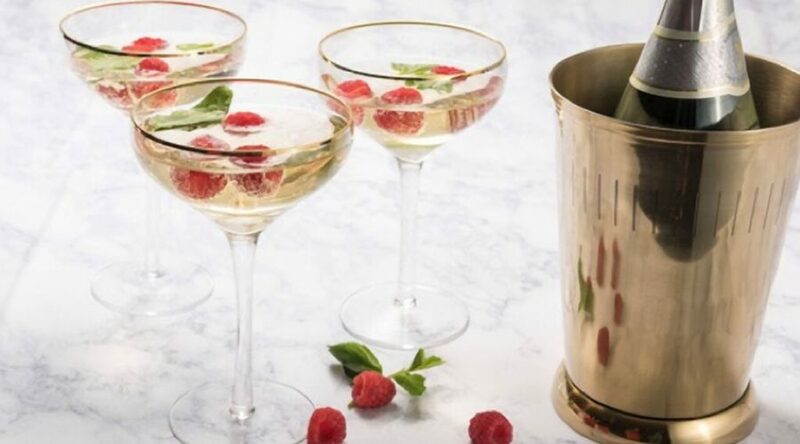 Garnish the glass with berries or mint, if desired. Repeat to make three additional cocktails. *Make virgin mojitos by replacing the rum with orange juice and the champagne with your favorite sparkling water.